Nelson Storage has five new carts available, all with beautiful details. 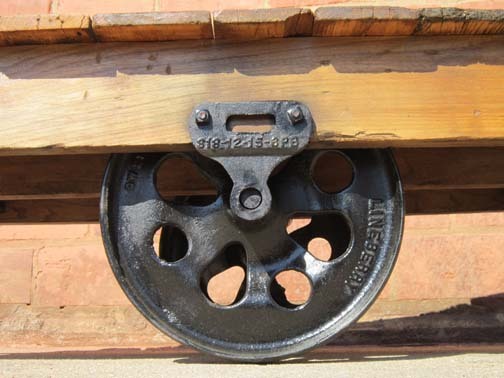 Check out the Lineberry casting in the cast iron wheels, and the original stencils on the sides, and the original refurbished wooden tops. These will make some spectacular coffee tables.